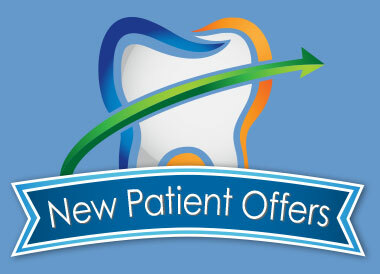 Adult dental care, in Meriden CT, with root canals, extractions, professional teeth cleaning! The foundation of a healthy smile is a commitment to general dental care. Your six-month visits help maintain and prevent problems down the road by allowing us to spot them early. We can address your unique concerns and build a relationship that ensures continued care. Click on the headings below to learn more about some of the ways we work with our patients to maintain their oral health. One of the biggest reasons to visit the Dental Group of Meriden-Wallingford is to have your oral health evaluated by a hygienist. The major goal of our hygiene team is the prevention, diagnosis, and treatment of gum disease. This begins with the removal of plaque and tartar, which develop on teeth over time. Soft, sticky plaque is easier to remove with regular brushing, but it does harden into tartar. The typical toothbrush and floss can't do much to remove tartar, especially where it builds up beneath the gumline. If plaque isn't removed, you risk the development of gingivitis and gum disease. Also, dental research has discovered a link between untreated gum disease and some serious health conditions like heart disease, stroke, and diabetes. Having your teeth cleaned on a regular basis is crucial to keeping yourself healthy! Hopeless Teeth? Root Canal Therapy Can Save Them! In the past, teeth with damaged or infected roots needed to be extracted. Because this can cause a variety of problems, it should be a last resort. If you arrive to our office with an infected tooth, or if we determine that dental decay has reached the nerve of the tooth, it's probably too late for a simple filling. The best way to then save the tooth is a root canal. We remove the tooth's pulp chamber and replace with a filling material. In the early days of root canals they could be painful, which has given them a reputation as something to avoid. However, using modern anesthetics and technology, root canals are often painless. Along with our bodies, our teeth and gums change as we age. Teeth may darken over the years from plaque buildup or consumption of coffee, tea, or tobacco. Ask us about procedures that can address these problems. If your medications have caused a reduction in saliva flow, we offer simple products that can help this condition. Some people have very old fillings, which may have broken down or cracked. Regular check-ups will allow us to maintain your existing fillings. 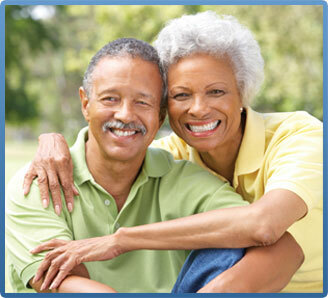 Gum disease and root decay can be serious problems for seniors. Daily cleaning and proper nutrition are crucial for healthy gums. If your gums are bleeding or your teeth start to feel loose, please contact us immediately. The third molars became known as wisdom teeth because they erupt later in life than the other teeth, usually between ages 17 and 25. With age comes wisdom, so the term "wisdom teeth" came to be used. These teeth erupt through the gums at the back of your mouth, two each in the upper and lower jaws. Unfortunately, most of us can't fit these teeth in our mouths. The lack of space often leads to impaction, when they become trapped in the bone of the jaws instead of growing in straight. Impaction can create a whole range of problems. They push and crowd other teeth, which might cause these teeth to twist and turn. Cavities often happen more easily with these teeth and the ones next to them, because the crowding makes them a challenge for brushing. It is even possible to get an infection in the jaw bone. It is recommended to remove wisdom teeth at a young age, before problems develop and the bone in the jaw becomes denser, holding tighter to the teeth. Dental Group of Meriden-Wallingford offers IV sedation to help patients with this procedure. See the Your Comfort page for additional information. If it's time for your next cleaning, or if you're ready to schedule a no-cost/no-obligation consultation, call us now at (203) 235-5588.